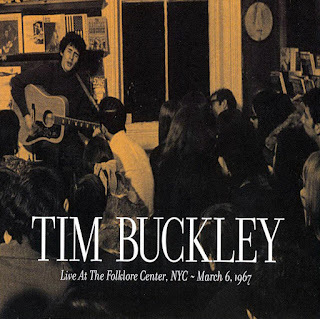 It's mindblowing that the folk iconoclast Izzy Young, founder of New York CItry's legendary Folklore Center, sat on this reel to reel tape of a very young Tim Buckley on his first trip to the Big Apple from the West Coast, for more than 40 years. Young was a promoter and was as close to a folk music purist as there was, and an integral part of the City's scene in the '50s and early 60s. Buckley's performance at the center was the result of a long, informal conversation, some lox and bagels; it was scheduled without having heard his record or hearing him sing(!) and in the same month as concerts by Spider John Koerner and Ramblin' Jack Elliott. Buckley was hanging out in N.Y.C. between the release of his debut album and the impending issue of the now-classic Happy Sad. According to Young in his liner essay, there were about 35 people in the audience. Along with the essay, there is a verbatim transcript of an interview between him and Buckley without the questions. 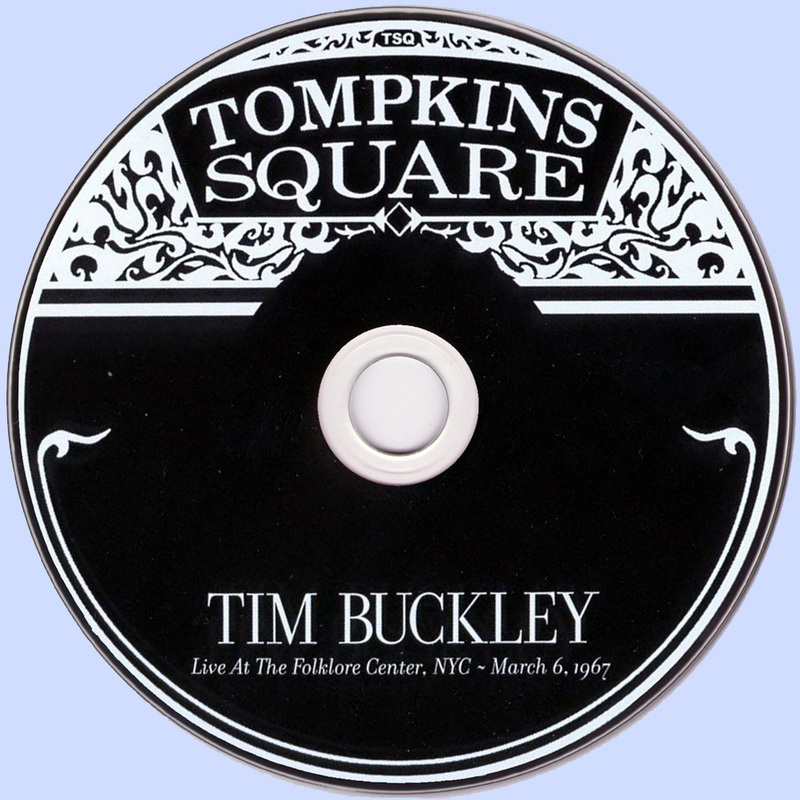 What transpires here (released through the visionary good graces of Tompkins Square Recordings) is the sound of Buckley emerging from the influence of the New York scene's sound and into the enigmatic one he would call his own. The performance here is electrifying. Buckley is picking his six-string guitar with as much passion as his singing (the opener is an incredible version of "Song for Janie"), and on other songs, he's beating the living hell out of his open-tuned, 12-string guitar to match (check "I Never Asked to Be Your Mountain"). Other well-known Buckley numbers are performed here and, as many times as we've heard them, sound completely fresh and new -- because they were new to him. There's the brief reading of "Phantasmagoria in Two," an excellent version of Fred Neil's "Dolphins," the wooly exuberance "Aren't You the Girl," (though it is sometimes off-key and even shrill) and the honest tenderness and vulnerability on display in "Carnival Song." 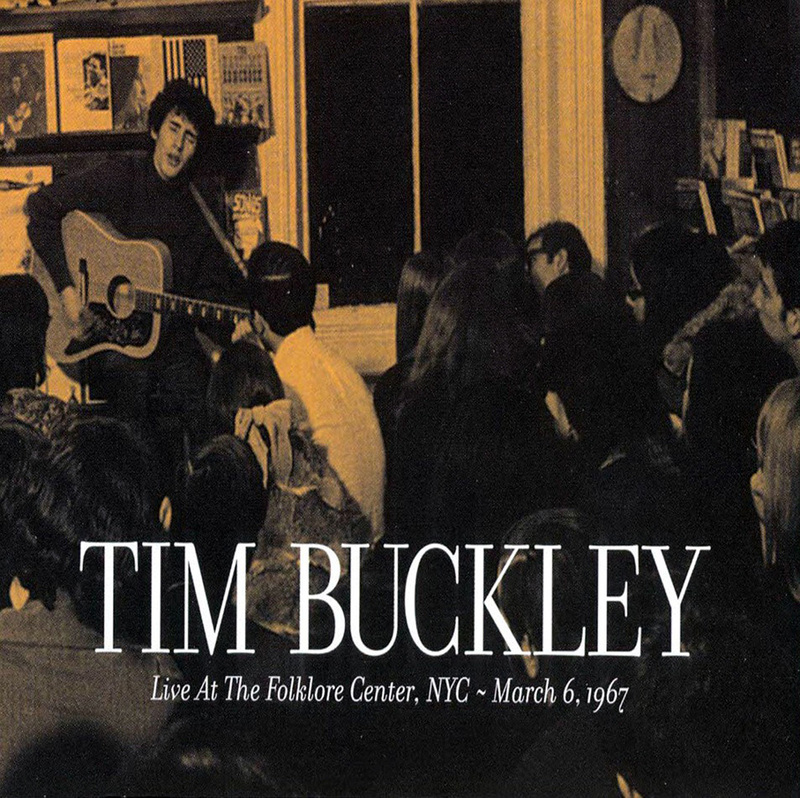 And while this set is comprised of unreleased live material, the real treasure trove is that contains a whopping six songs -- all composed by Buckley -- that have never been issued before in any form. There is the uptempo "Please Just Leave Me"; the consolation ballad "What Do You Do (He Never Saw You)"; the broken love song "Cripples Cry"; the seductive ballad that is "If the Rain Comes"; the raucous "Country Boy," and the concluding pathos-fueled manic strum and thrum that is "I Can't Leave You Lovin' Me," with its killer falsetto in the refrain that leaves the audience clapping enthusiastically. The final effect of this set is electrifying because of its raw, unfiltered, and even spontaneous performance. The sound quality and fidelity are fine since this was recorded on a single 1/4-inch tape recorder with a single mike; so guitar and voice are naturally balanced by the performer; add to this the natural warmth of the room. This is all evident in the ambience of the CD with very little tape hiss, miraculously. This surprise document is early proof of Buckley's genius at such a young age, and in a live setting, even without a producer. He could offer a completely new twist on what was considered "folk music" at the time, to a very conservative and tough audience, and burn down the house. This is simply a must for fans.